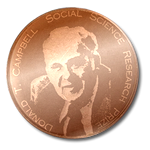 It is with deep regret that the Sociology and Anthropology department notes the death of Donald Campbell on May 6, 1996 . Born in Grass Lake , Michigan , on November 20, 1916 , Don was the son of a farmer who moved his family first to a cattle ranch in Wyoming and then to California , where he became an agricultural extension agent. Don finished high school in 1934 and delayed his scholarly pursuits to work on a turkey farm for a year. In 1935 he enrolled in San Bernadino Valley Union Junior College and then transferred to the University of California-Berkeley, where he graduated at the top of his class in 1939. He pursued doctoral studies in psychology at Berkeley and completed his PhD in 1947, after an interruption to serve in the Naval Reserve during World War II. Don was best known for his 26 year tenure in the Department of Psychology at Northwestern University , which he began in 1953. Here he made his mark on the field of social psychology, publishing the most influential of his more than 200 papers, focusing on issues of behaviorism, phenomenology, logical positivism, cultural relativity, and sociobiology. Although he had an intimidating intellect, his doctoral students remember him for a self-deprecating sense of humor, and a mentoring style that encouraged exploration, dissent, and independent thinking. 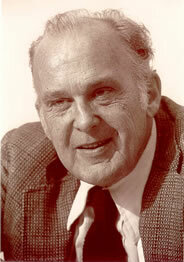 It was during this period that Don made some of his more significant scientific contributions, publishing in 1959 with Fiske conclusions on a multitrait-multimethod matrix approach to construct validity, and in 1963 with Julian Stanley on experimental and quasi-experimental designs for field research. In 1973 he was elected to fellow status in the American Academy of Arts and Sciences. In 1979 Don left Northwestern to accept a position as New York State Board of Regents Albert Schweitzer Professor at the Maxwell School of Syracuse University. In 1982 he moved to Lehigh to become University Professor of Social Relations, Psychology, and Education. His wife, Barbara Frankel is an emerita professor in the department of Sociology and Anthropology. Many of us will well remember Don's "quasi-retirement" from Lehigh in 1994. A celebratory banquet was held in his honor, which included colleagues from psychology, biology, philosophy, anthropology, sociology, education, and law. Don has had many honors throughout his career. Some of the many include the APA's Distinguished Scientific Contribution Award, the Kurt Lewin Memorial Award of the Society for the Psychological Study of Social Issues, the Distinguished Scientist Award of the Society of Experimental Psychology, and the William James Lectureship at Harvard University . In addition, at least 17 books have been dedicated to him by his colleagues. He also received honorary doctorates from the University of Michigan , University of Chicago , University of Southern California , Northwestern University , the University of Oslo , and several others. Above all, Don was a marvelous human being, and a great friend. We shall all miss him deeply.